Change is rarely easy. Often times the more challenging the hurdles, the more rewarding are the results. 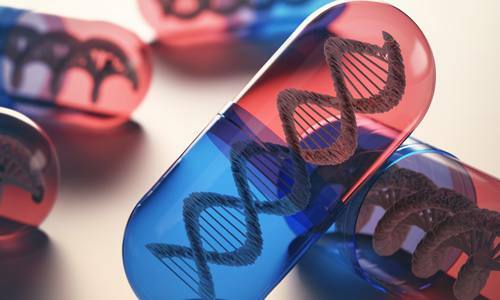 Such may be the case with implementing pharmacogenomics, the practice of prescribing medications matched to your genetic makeup — medications that are most likely to work and have the fewest side effects. Mayo Clinic Center for Individualized Medicine has developed a successful model for all health care providers that want to apply the latest advancements to improving clinical care. Who pays for genetic testing if insurance won’t? Once you have patients’ genetic test results, how do you develop a standard process for interpreting, storing and accessing the data? It’s so new, where is the evidence of clinical utility? How do busy clinicians keep on top of all the latest discoveries? How do you address any ethical or legal concerns? 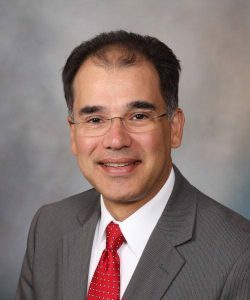 “Leveraging health information technology, including clinical decision support (CDS) tools and electronic health records (EHRs), will be essential to overcoming many of the barriers associated with the translation of (pharmacogenomics) guidelines into clinical practice,” writes Dr. Caraballo. Organizational silos can sink the cross-departmental efforts that are needed to implement pharmacogenomics into patient care. Success depends on gaining cross- institutional leadership support at the highest levels in order to break down the silos and work together. At Mayo Clinic, top leadership supports pharmacogenomics as an investment in good patient care and in the future of medicine. Mayo Clinic has formed a pharmacogenomics task force made up of experts from all areas involved in implementation: genomic medicine, primary and specialty care clinics, pharmacy, laboratory, education, research, informatics, information technology and administration. This task force is a catalyst for coordinating processes and resources needed to apply pharmacogenomics to patient care across Mayo Clinic. Identify the champions of integrating pharmacogenomics into practice within your organization. Mayo’s model has shown their feedback on use of pharmacogenomics and impact on patient care can influence clinical adoption. One key challenge is coordinating standard definitions for different genotypes and phenotypes among different laboratories in order to deliver structured test results into the electronic health record (EHR). Mayo’s model recommends implementing electronic interfaces between lab systems and the EHR, when possible. Because genetic results are most helpful at the time of prescribing medications, Mayo recommends proactive pharmacogenomics testing. “Just in time” education is important for physicians and pharmacists who often don’t have time on a daily basis to study the latest discoveries in drug-gene interactions. For example, Mayo Clinic offers learning that its clinicians can tap into at the point of care through the AskMayoExpert* online tool. The site is continually monitored and updated with the latest developments that can be applied immediately to patient care and prescribing habits. Mayo uses CPIC as the main source of clinical guideline addressing specific drug-gene interactions. CPIC guidelines follow a standard format and are designed to help clinicians understand how available genetic test results should be used to optimize drug therapy. To complement that, we also use clinical guidelines published by medical societies and other professional groups. Mayo Clinic has integrated provider alerts into its EHRs. When a patient has a genetic variation that could lead to an adverse drug-gene interaction, a pop-up alert will trigger, advising prescribing physicians to consider alternative therapies. This system has generated some 10,000 drug-gene interaction alerts at Mayo Clinic since 2012. For the most effective pharmacogenomics practice, develop a long-term strategy for maintaining and updating drug-gene rules, pop up alerts and integrating genetic test results into patients’ electronic health record. The implementation model described in this study ran from August 2012 through June 2015 and evaluated 21 drug-gene interactions able to produce harmful reactions to drugs. Nineteen of those drug-gene interactions have been integrated into the EHR at Mayo Clinic by using several clinical decision support interventions. Eleven educational resources were developed to complement drug-gene interactions. Five online competency-based modules were developed specifically to aid pharmacists. “Our aim was to develop a generalizable implementation model consisting of core components for initial use at Mayo Clinic but also applicable and transferable to other institutions regardless of size or available infrastructure,” says Dr. Caraballo. A. Keith Stewart, M.B., Ch.B. *AskMayoExpert is an online tool available to Mayo Clinic and Mayo Clinic Care Network physicians.